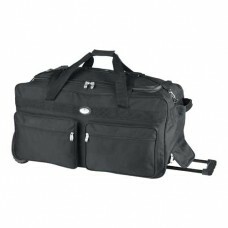 The ease of a duffel bag with the convenience of a roller suitcase. Sturdy telescopic handle for easy maneuverability. Velcro secured top grab handle. Three rubberized wheels for more secure maneuverability.